Another week passed by so I’m here again to discuss something new with you All. Chowder or Bisque – Bisque or Chowder? Are they the same? Similar? Or completely different? To tell you the truth I was confused and lost in this subject, but I noticed I wasn’t the only one. How can you tell the difference between a bisque and a chowder? The origins of the word bisque in relation to soup are debated. Some food historians believe that the word refers to the fact that the soup is cooked twice” ,bis cuites”, while others suspect that it is related to the Bay of Biscay. Cuisine from Biscay often includes spicy ingredients similar to those used in bisque, and another type of soup, called Biscay, involves the use of heavily spiced game birds in a recipe very similar to that used for bisque. Traditional bisque begins with sauteeing seafood in a heavy pan. If crustaceans are being used, the shells are left on. Next, a broth is made in the pan by combining wine and soup stock with aromatic spices, and the seafood is simmered until it is cooked through. The entire mixture is pureed, including the shells of the crustaceans. After being pureed, cream is added and the soup is cooked and allowed to thicken even more before being served, usually sprinkled with parsley and freshly cracked pepper on top. 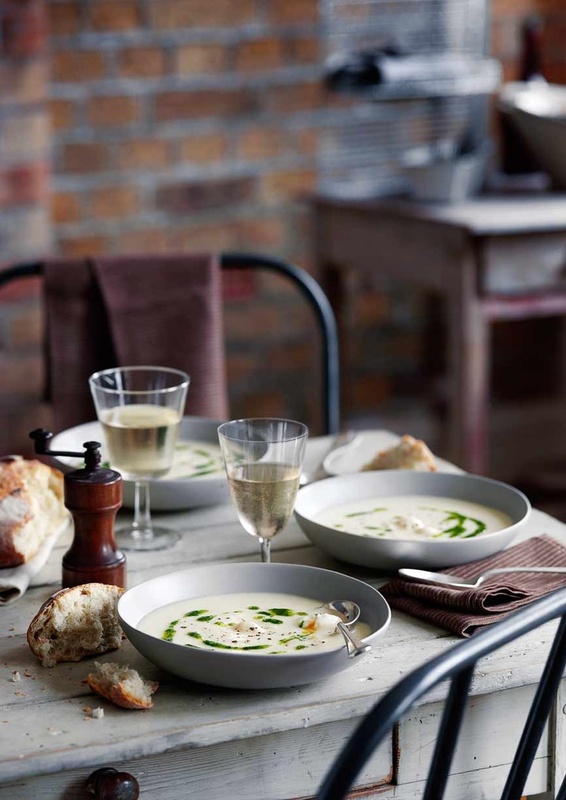 Bisque is also a close relative of chowder, another creamy seafood soup. 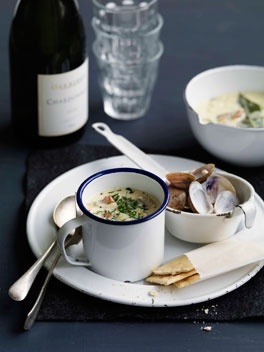 Another possible (and maybe more probable) source could be the French dish called chaudrée (sometimes spelt chauderée) which is a sort of thick fish soup from the coastal regions of Charente-Maritime and Vendée. The term comes from the French word “chaudiere” the pot in which the chowder was cooked. The broad range of soups that use flour as a thickening agent are called chowders. To most Americans it means clam chowder, either New England with a cream base, or the tomato based Manhattan style. The main ingredient of a chowder can range widely, from corn to clams. Chowder and stew have thick chunks of ingredients in the rich creamy base, while bisque has a uniform creamy texture. 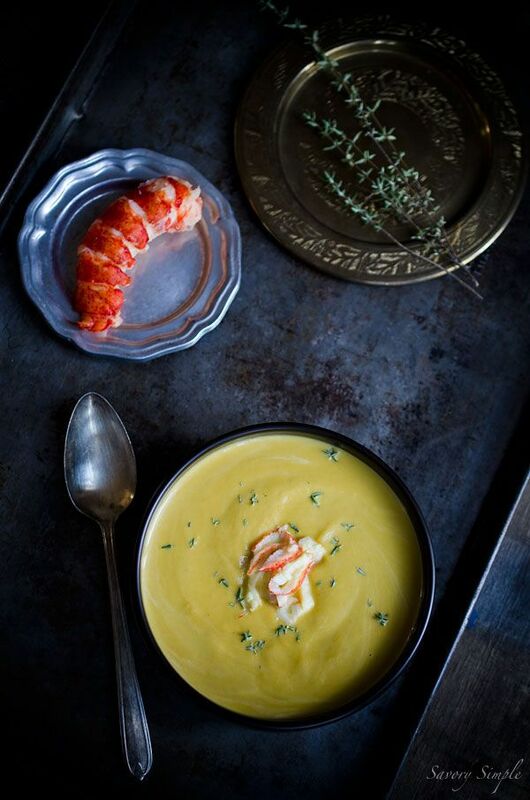 Bisque is served at fancy events because of the even texture, complex flavor, and beautiful color. Chowder is usually considered a dish of lower class, and therefore rarely appears at formal ,posh dinners. The word “bisque” is also used to refer to any sort of creamy, pureed soup, and thus menus often feature tomato and squash bisques. Bisque is a thick, creamy soup that traditionally is made from puréed shell fish. Chowder is a soup that uses flour as a thickening agent. 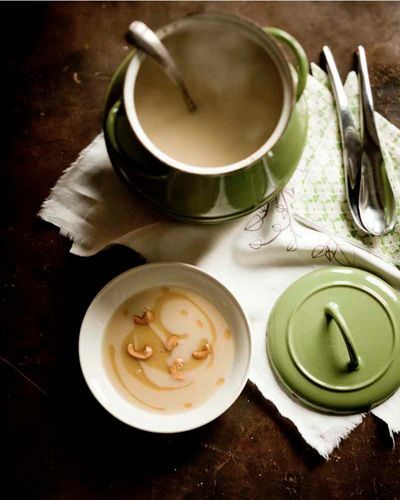 The picture is clear now on Chowder and Bisque, altough in gastronomy there are more types of soups and sauces like consommé ,cream soups , gravy, stews and broth. I hope, I helped to understand the difference and the relations between our beloved soups. Have a nice weekend everyone ’till next time!